Heaton Mersey is a lush green suburb of Stockport and Manchester with a wealth of open spaces, fishing ponds and the river Mersey set within an historic built environment. We belong to a strong, diverse community and we are committed to encouraging all residents to take a pride in their local area by organising free or low cost, community events for everyone. 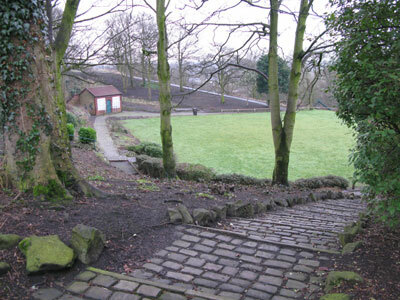 We act as the “Friends” group for the Heaton Mersey Park and the natural green amphitheatre that is Heaton Mersey Bowl and we liaise with other local groups to provide them with an opportunity to showcase their groups at our community events. HMVCG is a non-religious, non-political, community group that is open to all and was formed out of the SOB (Save Our Bowl) campaign, that lobbied to encourage the authorities to route the proposed Metrolink extension around rather than through the beautiful Heaton Mersey Bowl. Since our founding in 1999 we have organised twice yearly Farmers’ Markets & Family Fun Days at Easter and in the Autumn, to promote healthy and environmentally sustainable local foods. We have funded and lobbied for enhancements to Heaton Mersey Park and the Bowl including the installation of new benches, new park signs and the development of a master plan for the whole space. We have run volunteer days to help clear overgrown foliage, to plant flower bulbs and shrubs and we have collected hundreds of bags of litter from the local parks and ponds. We have also organised and run Local History evenings to help local people understand the historical and geographical context that led to the development of the modern Heaton Mersey from a Bronze Age settlement through the industrial revolution and on to present day.